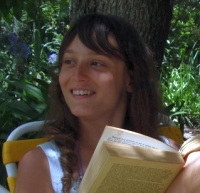 Lavinia Picollo studied philosophy at the University of Buenos Aires, where she got the equivalent of a Masters degree in logic and epistemology in 2011. In 2015 she received her PhD, also from the University of Buenos Aires. Her thesis is on Truth, with a focus on deflationism, reference and semantic paradoxes. Her supervisor was Eduardo Barrio and her viva committee consisted of Volker Halbach, Eleonora Cresto, and Federico Pailos. During her doctoral studies she has taught the Logic I and Logic II tutorials at the Chair of Logic, and visited the universities of Oxford, Tilburg and the MCMP on several occasions. She is also a member of the Buenos Aires Logic Group and the Argentinian Society of Philosophical Analysis. Lavinia works in philosophical logic and the philosophy of logic, mainly on truth and properties. Her interests revolve around deflationism, paradoxes, reference and aboutness, formal theories of truth, formal theories of properties, classes and extensions, absolute generality, neologicism, logical pluralism, logicality and logical constants.